Contact us to learn more about Computational Fluid Dynamics and its applications. BMI has extensive experience in computational fluid dynamics. For majority of projects several NASA codes along with a software package developed by boeing are utilized. BMI brings experience from over 200 wind tunnel tests to its clients. These tests have ranged from super sonic wind tunnels to full submersion tests. 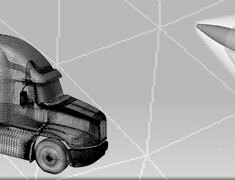 One limitation with a wind tunnel is the error that is introduced because of the walls surrounding the model. For many automotive projects BMI employs a type of testing called straight line testing. BMI will take the vehicle to one of several test tracks and equip it with a data system to record the mechanical and aerodynamic variables of interest. 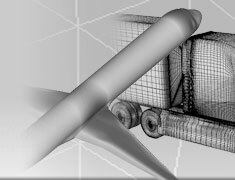 BMI has years of experience in cad design from a range of industries. This experience ranges from aircraft components to chassis design. 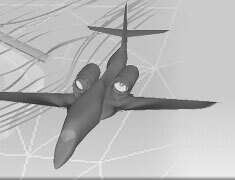 Several different packages are used at BMI to accomplish the variety of design tasks, this includes Solidworks, Rhino and AGPS (A boeing developed package). BMI's manufacturing process employs several technologies. Individual pieces are created using computer controlled laser cutters and bends are always made using a CNC bender. 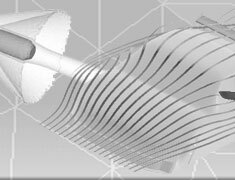 The team members of BMI understand the full scope of aerodynamics and design. Working with BMI Corporation will ensure that you develop the best possible aerodynamics package for your product. BMI works hand in hand with the customers engineers so that everyone is always on the same page. If you wish to see what BMI Corporation can do for you please feel free to contact us at anytime.